Sarai vicino ai parchi nazionali e a pochi minuti da Tuacahn. Puoi guidare la tua mountain bike per 2 isolati fino a grandi sentieri. Prepara i tuoi pasti nella grande cucina o mangia fuori se ti piace! Ci sono così tanti servizi gratuiti che vengono con il noleggio. Due piscine e vasche idromassaggio e una piscina per bambini presso la piscina di famiglia. Shuffle board, campi da tennis, campi da tennis, campi da basket, sala giochi, palestra e parco giochi per bambini. WIFI gratuito e due tv a schermo piatto, nuovo 55 "smart tv nel soggiorno con cavo digitale aggiornato. È un ottimo posto per rilassarsi e godersi il sud dello Utah! Doppi lavandini e un ampio giardino vasca. we had a great time in St. George. The condo was very nice. Great spot!! nice and cozy!! great amenities at the club.. good location next to the quiet lap pool. we hope to come back!! very comfy digs!! This place is great. it has everything you could possibly need. you know it will be very clean, because it is professionally cleaned. Jennifer was very friendly and very accommodating and always available. The location is great and sports court is a fun place. We had everything we needed and loved the activities at the clubhouse! The kitchen was stocked well so we could eat on a budget and avoid restaurants. We appreciated the supplies that were there in case you forget something. Would stay here again! Nice, clean, good location, great host. The condo was clean, comfortable and furnished nicely. The host was very nice and gave good instructions. 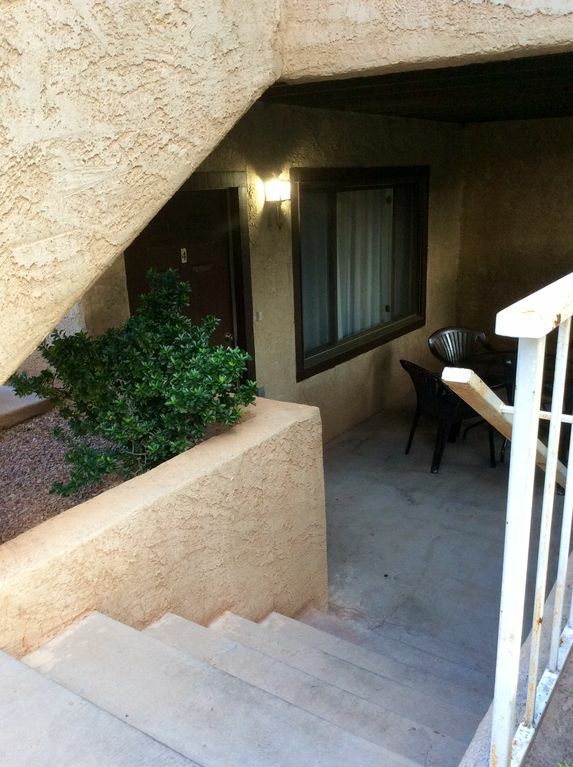 The condo is located in a great spot with easy access to I-15 and Snow Canyon. I'll stay again if/when I have the chance. We really enjoyed staying here. The condo has everything you will need and the location is perfect! Love Saint George! Cannot wait to come back!